The one stop shop for all your festive shopping needs, Jalsa, is back with the best of brands for you all under one roof. Come experience the festive spirit with Jalsa this season and indulge in the latest trends. 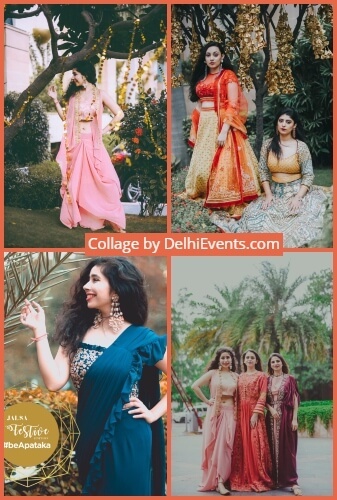 Some of the desginers participating are Alya by stage 3, Allure by Astha, Shashank Arya, Avigna by Varsha and Rittu, shipligoyal Jewellery, Niav Jewellery, Daatri by Meenakshi Kakkar, Chandini & Priyanka and more. Jalsa is seen as a platform which brings artists from across the country under one roof and is a pioneer in the field with its founder, Timsy Anand bringing in the class and style which sets the exhibition, a cut above the rest.